To clearly understand how a company goes public, it helps to first know why they want to go public and trade on the stock market. There is one simple reason why most private business owners decide to sell ownership in their company in order to trade on the stock market: to raise money. 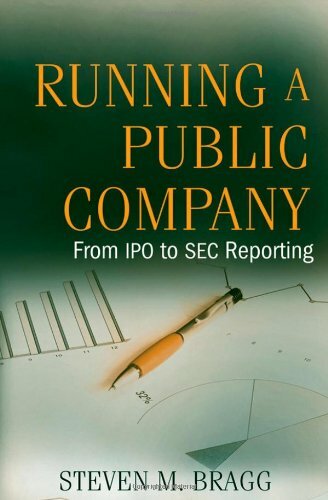 Going public is often the best way for an already successful business to raise capital. When a company goes public they are selling ownership in their company. They may want to expand their business, hire new talented individuals, open more locations or any number of reasons that require obtaining more capital at the risk of giving up ownership in their business. Like most of your tough business decisions, you need to decide why to go public by taking a detailed look at the advantages and disadvantages. The entire process of taking your private company and turning it into a public company can become time consuming, but the payoff will be worth the trouble. One process of taking a company public involves hiring a large investment bank, who acts as underwrite for an initial public offering. The underwriter decides how much money investors are willing to offer for shares in the company. An initial public offering (IPO) is then planned out and the company shares hit the stock market at a predetermined price. While ultimately the initial capital raised for the company through the IPO will come from individual investors who purchase shares, the underwriter will usually finance the transaction, providing capital to the issuing company in advance of the stock going public. The complete IPO procedure can take months to complete. If the offering is not successful, the expenses can still range from $300,000 to $500,000 in legal, printing, and accounting fees alone. It is critical that you make sure to perform vigilant assessment of your company, the market, and the entire IPO process ahead of time. A company can decide to go public on the New York Stock Exchange (NYSE), American Stock Exchange (AMEX), National Association of Securities Dealers Automated Quotations (NASDAQ), Over the Counter Bulletin Board (OTCBB) and the Pink Sheets. Many startup companies make a decision to first go public on the OTCBB and Pink Sheets since there are no asset or revenue requirements. You can then later ‘move up’ to a larger trading market by meeting their requirements. It might help to learn why do companies issue stock. It is essential to realize that taking your company public means a lot of time and work invested to the process. It is also essential to remember that the IPO process is simply a transaction. It can be very easy to get so caught up in the IPO process that you forget about running your business and making it successful. The life of the business is accelerated or doomed by the IPO. The IPO does not keep you in business, nor is it a guarantee of success. Make sure to remember first what keeps you in business and always focus on that first. Hopefully you will now better understand how does a company go public. The entire process of going public will definitely not happen overnight. If you are interested in taking your company public, it is a good idea to start the process now of getting everything together and researching what you want to go in your registration statement. We recommend that you learn how to incorporate in Nevada and why. You will want to get started as soon as possible so you can get the wheels turning on your company going public.